The conference will last 3 and 1/2 days and it will be held in the Auditorium of Acquario Civico of Milano, Viale Gadio 2. The location is near the Parco Sempione area, between the Civic Arena and the Castello Sforzesco, in the center of Milano. The meeting will be an opportunity to review the current status of research in the AGN field and to openly discuss our knowledge of the physics, demography and evolution of AGN from the local Universe up to the epoch of formation of the first Super Massive Black-Holes. A particular attention will be given to the role of AGN in galaxy evolution. 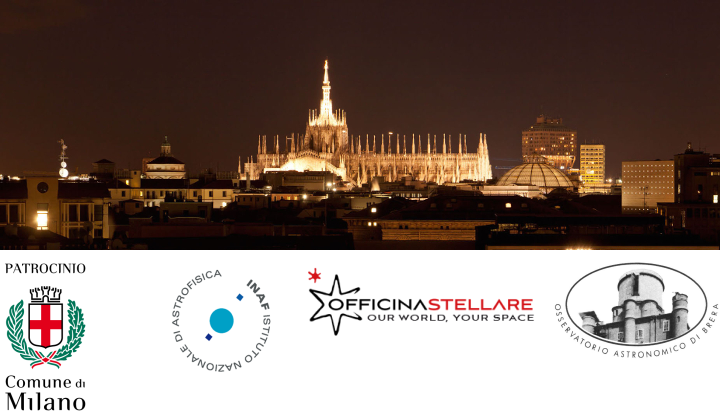 The aim of this meeting is to discuss, with a "curiosity-driven" perspective, recent results on the investigation on nuclear engines and their host galaxies, with a special eye to current and future projects with a large involvement of the Italian astronomical community.